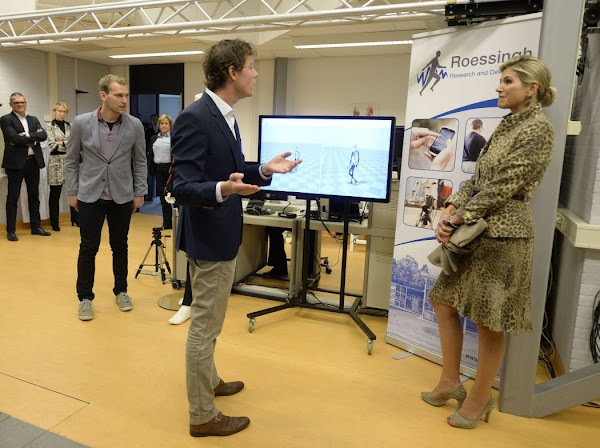 On November 22, 2016, Queen Máxima of The Netherlands visits the Roessing Research and Development Centre and "Digital Workshop" at the Hangar 11 of Airport Twente in Enschede. Roessingh Research Center (RRD) is the largest scientific research centre in the Netherlands. Queen Maxima wore Natan dress. 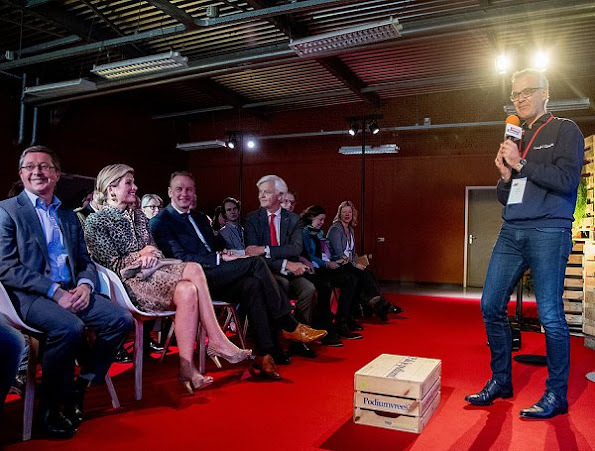 Queen Maxima visits the "Digital Workshop" at Hangar 11 of Airport Twente in Enschede. Digital Workshop is a two-day initiative from Google Netherlands, Qredits Microfinance and municipalities to digital skills among entrepreneurs stimulate. Total look panthère ! Too much ! I love the entire outfit, shoes and all ,and her hair looks great. Too much print at once! She did look good and all except for the shoes. I do like myself an open-toe shoes but hers look weird. Good hairdo but outfit in that kind of fabric design absolutely not. I don't think Royalty needs to always wear court pumps to be properly attired. Shoes go well with the print outfit. Queen Maxima wears the print quite well, everyone can't pull that off. Very elegant and very Maxima! Looks great! Her fashion and style does well for the Netherlands! If anyone can wear a full leo print, it's Maxima! I love it! Skirt and jacket have the perfect cut for her womanly figure and the colour goes so well with her hair colour and the accessoires. Great hairdo! I love the last picture, her two male neighbours are captured by her feminine radiance and she sits there self-confident, poised, without being arrogant, smiling to herself: I know, guys, I know. She really is a Queen!